how to attract eCommerce customers in India? Over the last three years, internet marketing changed the people’s way of thinking in buying and selling of products and services. Online retail is transforming the shopping experience of internet users. E-commerce sector has seen unrivaled growth since ‘14. Smart devices like Android, iOS, and tablets are enabling e-commerce sector to be more efficient. The scope of the growth remains huge and given that, by 2020 mobile phones will emerge as the preferred devices for online shopping. Leading E-retailers are differentiating themselves by providing innovative services offering like cash on delivery, cash back offers, mobile wallet etc. 5. Cash on delivery will continue to dominate, but growing awareness will drive e-wallets, m-banking, and online card payments. 6. Sales will continue to peak during discounts but traffic challenges for urban consumers and product range for non-urban consumers will fuel steady sales all over the year. The e-commerce market in India has started to become more crowded and complex with several players targeting the same category of customers. In order to get customer attention, the companies are using multiple business models in e-commerce competition. Here one of the majour factor to be noticed is that, What customers really want in an eCommerce store. And if a store is not able to pocess its best outcome, it results in a big loss. Smartphones are conquering the online market all around the world, which includes more than 235 million people accessing the internet through mobile devices in India alone. India already has the second largest market of smartphones after China. The scope for growth remains huge, given that there are over 1 billion mobile phone connections in India already. By 2020, India will have an estimated 702 million smartphones in use and mobile phones will emerge as the preferred devices for online shopping. Mobile application helps to reach customers located even in remote and rural areas by sending service updates and other communications via their mobile app. Also, from mobile usage, the e-retailer gets valuable customer information which can be used for analytics to improve their sales and services. For this reason, e-retailer focuses on their efforts on mobile app penetration across the country. The digital advertising industry is growing rapidly in digital communication devices around the world. According to analytics, smartphones and tablets enable the advertisements to reach a wider audience. Indian market will grow yearly by making the advertisements more effective in the digital world. Social engagement sites like facebook, twitter, g+, and LinkedIn have added advantages for online portals to promote their products and services. Owing to the fast penetration and growth in demand by reaching the targeted customer, many retail brands have started digital advertisement to enter into the online retail. SEO plays a major role in the ecommerce industry. With thousands of products, e-retailer finds it easy to be visible with the help of SEO techniques. Search Engine Optimizers helps the website to increase brand visibility and significantly boost the profit by driving targeted online customers. 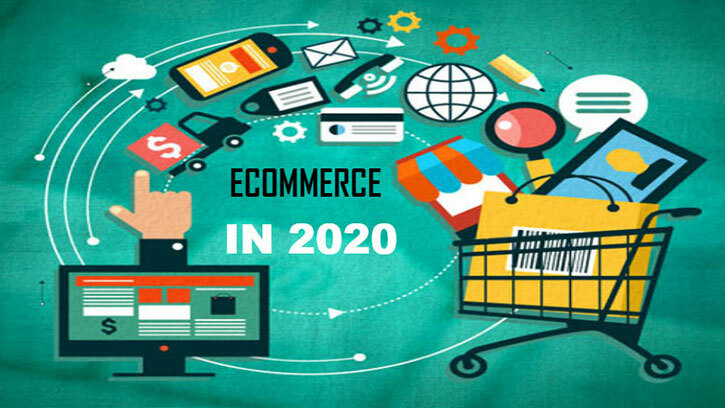 For online retailers, E-commerce SEO creates an enormous boost in viewer traffic, which naturally results in sales enhancement and the ability to reach an exponentially larger group of potential and targeted customers. 1. eCommerce industry, in today’s circumstance, need to understand the customer expectations from research to purchase. 2. Product quality and timely delivery must be ensured. 3. Need to focus on new brands & products. 5. Payment gateways: E-commerce companies have to offer a wide variety of payments options including Cash on Delivery, credit and debit cards, internet banking options etc. Around 60-70% of the payments are made using COD option compared to online payments.